For a squash addict, it’s been a bit of a miserable year. I’ve put out plant after plant and slugs ate them for breakfast, lunch and dinner. This year slugs have a new trick – munch baby female flowers before they open. I found this out a little late, most vanished into slug bellies. Now I know to bag the fledgling fruits even if they aren’t going to be pollinated for seed saving. 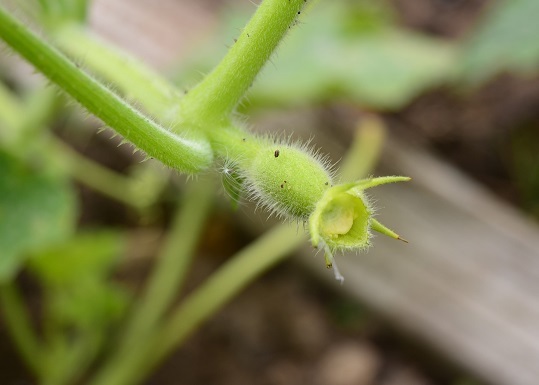 Slugs have also eaten a lot of the immature fruit too, so a lot of my painstakingly hand-pollinated squashes are rotting, half-eaten, in my compost bins. Added to this, all of the moschatas (Chirimen, Black Futsu, Shishigatani) are refusing to produce any female flowers. I don’t know what’s up with them, but they aren’t happy. It’s not just me wailing away. Bar Ruth on the upper field, whose pumpkins (and compost heaps!) are legendary, most people on our site seem to be struggling this year. 3 Kakai. 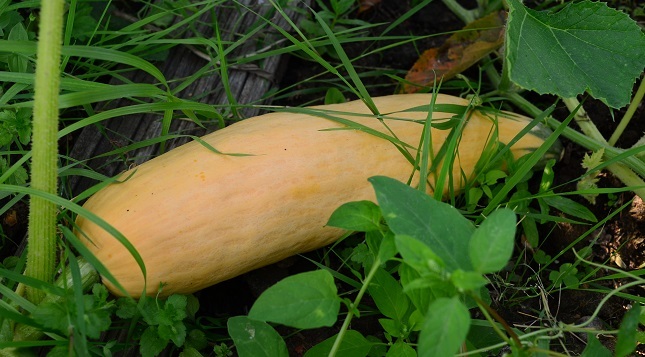 They are by no means a pretty squash – and produce naked pumpkin seeds, rather than seeds with shells. Given how expensive pumpkin seeds are, this can only be good. Apparently the flesh isn’t that tasty – but I’ll give it a go. Everything’s better with butter, right? 2 North Georgia Candy Roaster. (Please overlook the weeds – that bed is hard to get into!) I have wanted to try these for some time, and was sent seeds by a very kind person on the GYO forum. 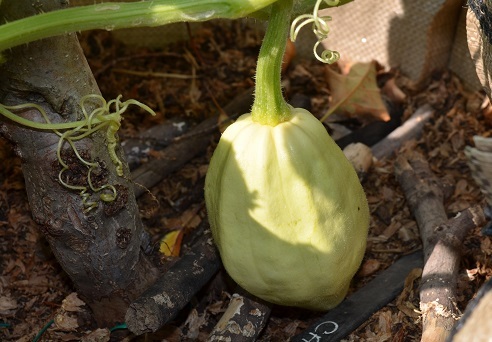 They are the first banana squash I’ve grown, and online reports about their flavour are really encouraging. They look good too, turning from yellow to peach, with a green tip. 2 Potimarrons. I love these squashes. If I could only grow one variety it would be a tough call between these and Black Futsu. Their chestnutty flavour is just delicious. 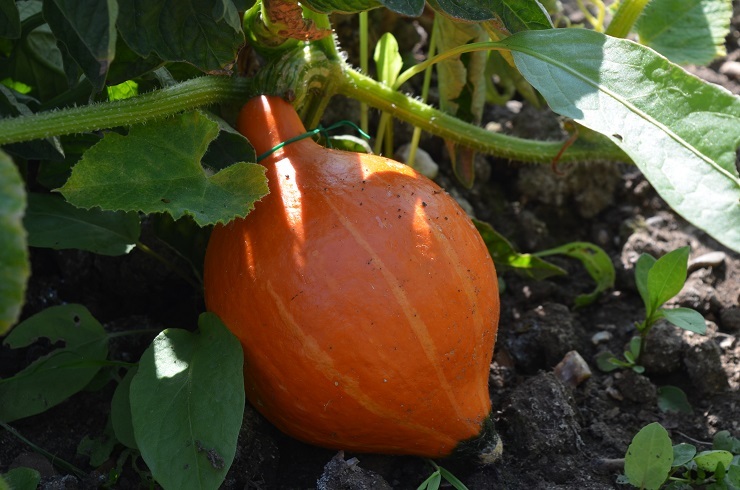 The two that have set are very small – I am hoping that the last and later-sown plant will produce a bigger version to add to the haul. And perhaps that is the trick with them, as they do seem to mature so quickly. 1 Sucrette. I started with 9 plants. The 4 battered slugmageddon survivors produced one flower while we were away so at least there is one squash. You can see the warts and ribs starting to develop on the skin. They were supposed to be hand-pollinated for the Heritage Seed Library, and I am keeping an eye on the one nascent female flower. I’d like to return some seeds at the end of the season, even if it isn’t as many as I’d imagined. 1 Thelma Sanders. 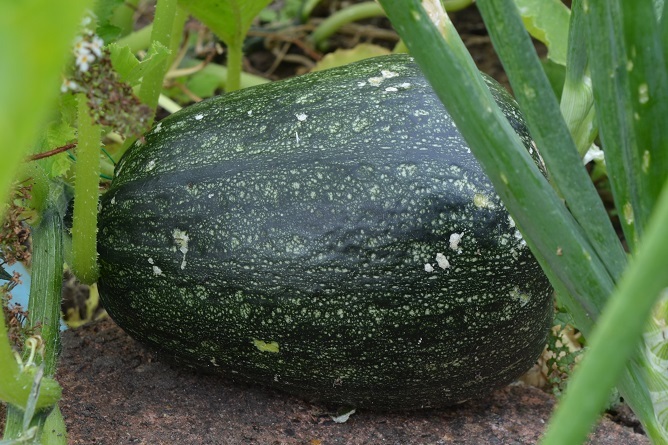 In a normal year I would expect to get about 5 squashes from one plant. This time I am presented with just one, and it looks like it’s going to be a tiddler. A pretty tiddler though – it will stay this creamy white and swell into an acorn shape if all goes well. 1 Flat White Boer, I grew this for the first time last year. Seeds are only available in the US, but thankfully Baker Creek ships to the UK. (They have an awesome catalogue, with only open-pollinated varieties – it’s worth looking through, but a bit dangerous if you have a seed-collecting habit) Flat Whites taste, to me, like sweet potato. They have a lovely soft texture and I bet would make good sweet dishes as well as savoury. Plus they look stunning – as they mature on the plot they get whiter and whiter, till they are almost luminous. The (long!) roll call of plants that have either been munched into oblivion, aren’t doing anything impressive or have succumbed to Sudden Inexplicable Plant Death goes as follows: Baby Blue Hubbard, Black Futsu, Calabaza de Angel, Chirimen, Geraumon Martinique, Hidemi, Japanese Pie, Rob’s Trial Pumpkin, Shishigatani, Sibley, Tonda Padana, Whangaparoa Crown – though this last one might be rethinking its options. I’d love to hear how yours are doing – and if you have any varieties you’d recommend. Hi Beryl. 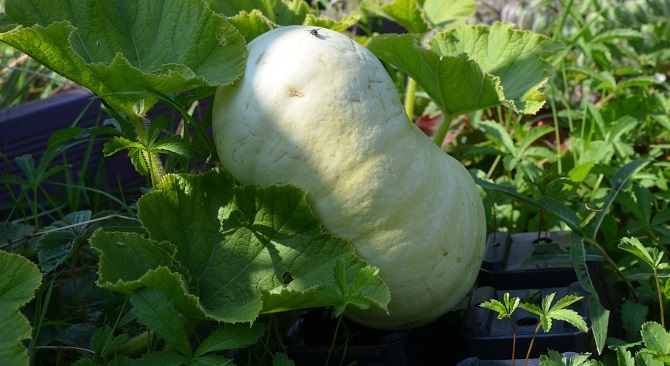 A mixed squash year for me too. Like you I have had no success at all with Shishigatani. For the second year running all I have is foliage. My Thelma Sanders plant has three very small fruits so far. Musquee de Provence has two minute fruits. I have one small Munchkin coming along and nothing from Winter Luxury. To be fair to the last two they are just filling a gap in the communal recycling plot and haven’t been given much attention. The star of the show though is my Flat White Boer which has three large fruits maturing nicely. They look fantastic. I am very grateful to you for putting the seed in the Allotment forum seed circle. Hi Anne, Am really pleased they are doing well for you. I only have one, but I’m grateful for that. Some of mine are having a late flurry – I put out what I thought were 4 Shishigatani, but it turns out at least one of them is something else and has many small fruits forming on it. Have no clue what it is…The Shishigatani are doing the same as yours and just messing about leafily. What a difference a few days, a bit of sun and a dose of comfrey tea makes! The Thelma Sanders and the Musquee de Provence have gone berserk. I now have three good size Musquee and at least 6 good looking Thelmas. Never give up! Despite never having a great deal of success with butternut squash, I’m trying again this year. There’s one looking quite promising at the moment, so fingers crossed! Good luck! I do like a good butternut, but they are one of the slowest to get going for me. I’m putting them back on the list for next year – plus all my failures this year! 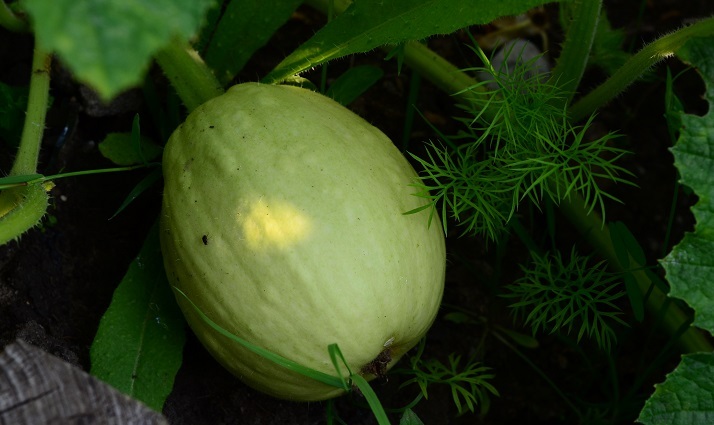 I’ve had no luck with training squashes to climb – perhaps I cram things in too tightly. Do let me know how it goes for you – I’d like to succeed at it one year! I envy you the Futsus, they are so tasty and look stunning! Second year of trying these. last year was a disaster, this year only one has made it. I hope the melons are doing ok, I have some fruit on mine this year and keeping my fingers crossed. That doesn’t sound too bad to me – Golden Hubbard sound a lovely variety too. I was worried the maggots meant it was all over, good rescue on your part! Ha! Not this year I’m not! I wish that my plants were off to other plots too. Efforts will be redoubled for next season.